The story behind these simple whistles is both heartbreaking and hopeful. The heartbreaking part is this: In the Democratic Republic of Congo, where one of the world’s deadliest wars has dragged on for decades, young children too small to carry weapons are sent ahead of troops to the front lines to make a racket and draw enemy fire. They’re armed with only whistles. The hopeful part begins with Sean Carasso, who traveled to the Congo in 2007, heard about the innocent whistleblowers and started telling their stories. Sean’s determination to help these children inspired the creation of Falling Whistles, a nonprofit organization that aims to restore the lives of war-affected children and advocate for peace in the region. Today, Falling Whistles works alongside Congolese community leaders, funded entirely from whistle sales. If you buy a whistle, 100% of the proceeds will be used for helping war-affected kids through rehabilitation programs and stateside advocacy. As Falling Whistles puts it: You can be a whistleblower for peace. This holiday season, let’s make some noise. When FW had no money, I hit the road with two pieces of luggage and thumbs to match, doing whatever it took to reach a listening ear. Over the course of 4 months I hitchhiked from Texas to New York, pulling people together in living rooms and coffee shops in every city along the way teaching about Congo and asking ~ join us in our search for solutions. The coalition was built from scratch simply by asking others to use their most fundamental freedom, that of speech, to speak out and grow that same freedom for others. Today I am here and grateful for your listening ear. No comments at this time, need to read more about Falling Whistles. Please forward more detailed reports on what your accomplishments are and how I can help. @Sandra: Thank you for your interest in learning more. 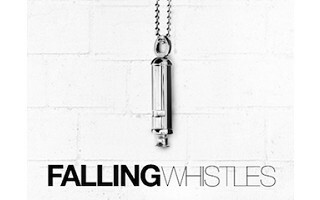 The Falling Whistles website has a wealth of information about their organization. You can go to their website by clicking here. Here is a direct link to their 2009 Annual Report which is also a good place to dive deeper into Falling Whistles. We're glad you stopped by today. The story behind these simple whistles is both heartbreaking and hopeful. The heartbreaking part is this: In the Democratic Republic of Congo, where one of the world’s deadliest wars has dragged on for decades, young children too small to carry weapons are sent ahead of troops to the front lines to make a racket and draw enemy fire. They’re armed with only whistles. The hopeful part begins with Sean Carasso, who traveled to the Congo in 2007, heard about the innocent whistleblowers and started telling their stories. Sean’s determination to help these children inspired the creation of Falling Whistles, a nonprofit organization that aims to restore the lives of war-affected children and advocate for peace in the region. Today, Falling Whistles works alongside Congolese community leaders, funded entirely from whistle sales. If you buy a whistle, 100% of the proceeds will be used for helping war-affected kids through rehabilitation programs and stateside advocacy. 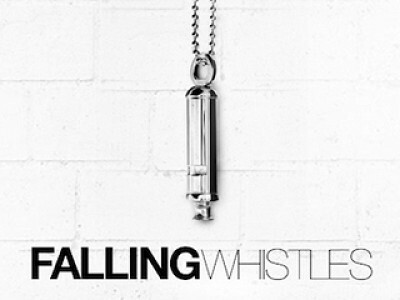 As Falling Whistles puts it: You can be a whistleblower for peace.